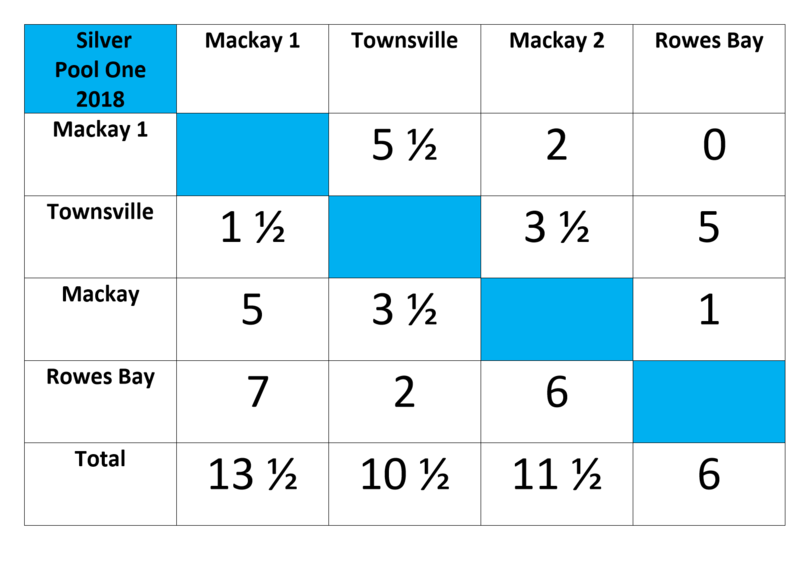 The top performing Golf North Queensland competitors are recognised annually by being crowned the Golfer of the Year. 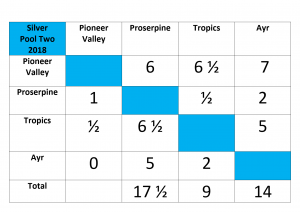 Competitors earn points throughout the season as outlined by the Golfer of the Year (GOTY) system that has been established by the Golf North Queensland. 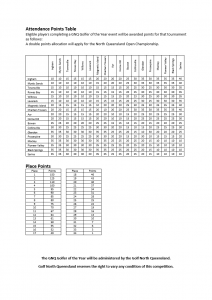 All points are based on GROSS scores in each Grade (A: up to 18, B: 19-29, C: 30-45) on GA handicaps. Named after Australian professional golfer who emerged in the mid-1990s from Ayr, Queensland, as one of the sport’s best players. Karrie began playing gold at age eight and turned professional in 1994. The Karrie Webb Golfer of the Year award is presented to the amateur golfer who collects the most points throughout the golf season. 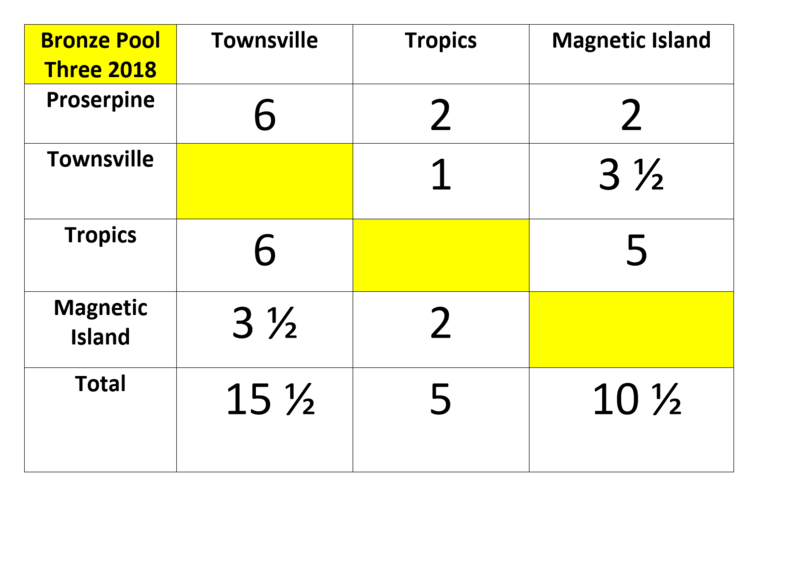 Points are awarded based on Golf North Queensland Golfer of the Year Point System, which takes into account performance at District opens, GNQ Open Championship and attendance points. The player will win the Golf North Queensland Karrie Webb Trophy and shall also receive an individual medallion and $100 gift Voucher presented at the winners Annual Club Presentation. In 1998 the Management Committee of NQDLGA (GNQ Inc) decided to introduce a District Perpetual Trophy to be known as the “Olive Carey Trophy.” This trophy was aimed at encouraging players with handicaps from 19 to 29 to travel and play in the Open Championship of member clubs as well at the GNQ Open. 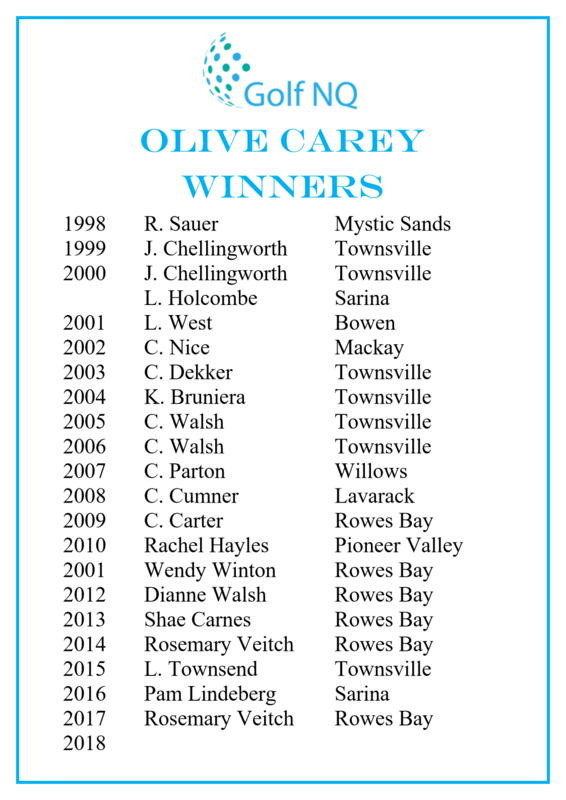 Named after Miss Olive Carey, the Golfer of the Year award is presented to the amateur golfer who collects the most points in B Grade throughout the golf season. 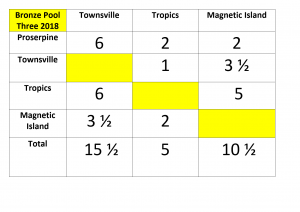 Points are awarded based on Golf North Queensland Golfer of the Year Points System, which takes into account performance at District opens, GNQ Open Championship and attendance points. 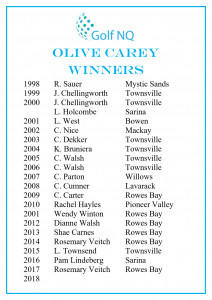 The player will win the Golf North Queensland Olive Carey Trophy and shall also receive an individual medallion and a gift from Jane Flynn (Olive Carey family), presented at the winners Annual Club Presentation. In 2016 it was decided to introduce the Holmes Family (Lindsay, Sue & Shae), trophy. This trophy was aimed at encouraging players with handicaps from 30 to 45 to travel and play in the Open Championship of member clubs as well at the GNQ Open. 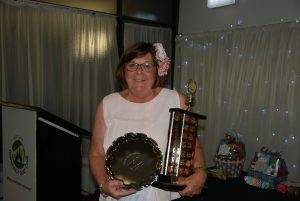 The Holmes Family, Golfer of the Year award is presented to the amateur golfer who collects the most points in C Grade throughout the golf season. 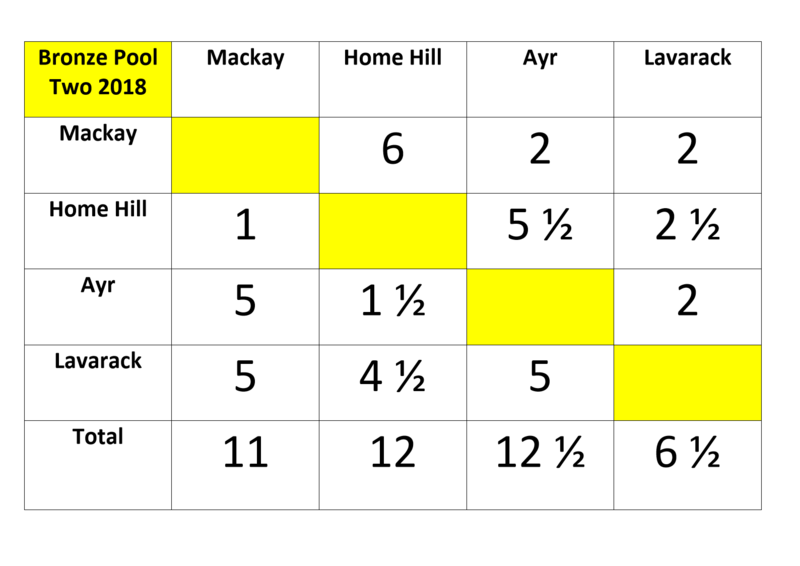 Points are awarded based on Golf North Queensland Golfer of the Year Point Standings, which takes into account performance at District opens, GNQ Open Championship and attendance points. 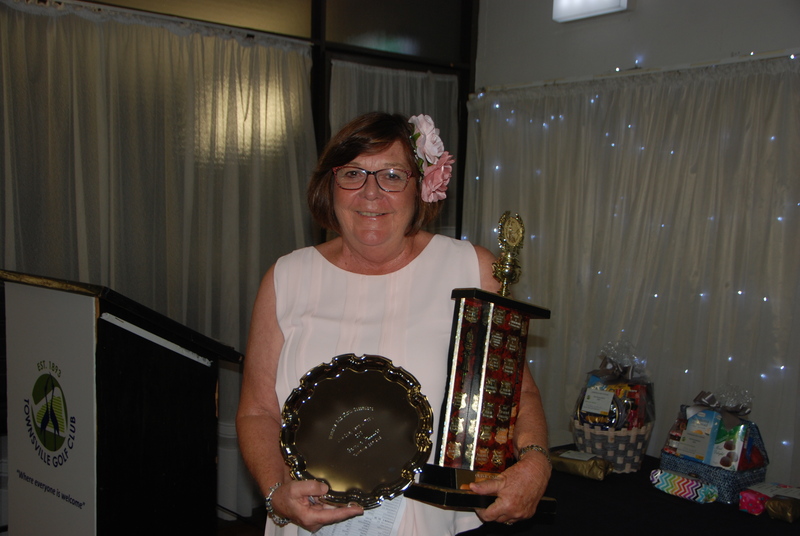 The player will win the Golf North Queensland Holmes Family Trophy and shall also receive an individual medallion and a gift from the Holmes family, presented at the winners Annual Club Presentation. Entry is free to all participants. 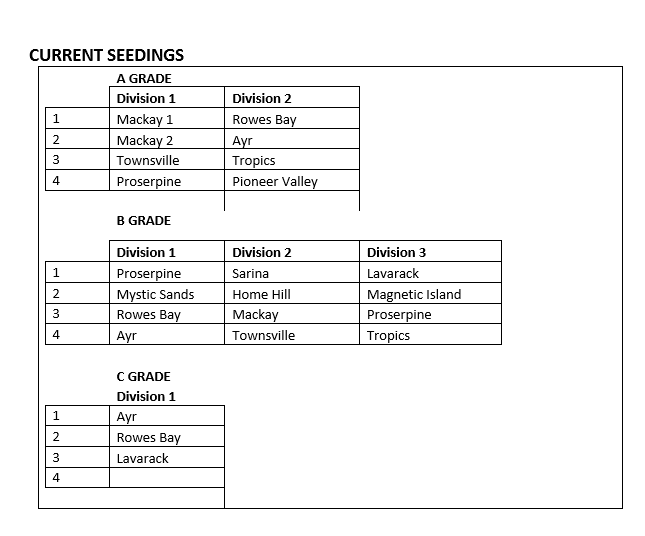 Please see below current seeding. 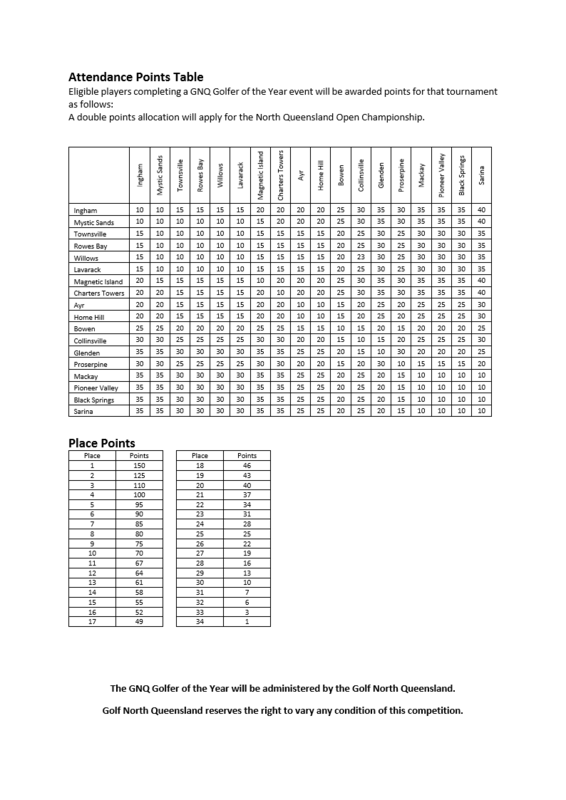 The Women’s Tournament Handbook is now online. It contains a variety of exciting events for women in Queensland to be part of. 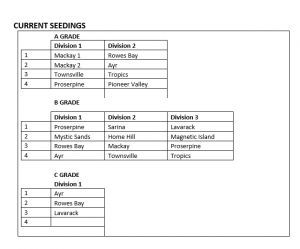 Our events include the Qld Golf Foundation Brooch and the International Bowl. These two events specifically support the Qld Golf Foundation and last year $10,000 was raised. The Qld Golf Foundation works to increase the number of people playing golf in Queensland through implementing new programs and initiatives for children, women and in clubs. The proceeds from the Qld Golf Foundation Brooch and International Bowl will help the Foundation provide even more opportunity for people in Queensland to play our great game. So ladies don’t forget to get your 2019 teams together and get involved in these events and help a worthwhile cause. The Meg Nunn Salver is a Queensland, annual state-wide match play event for low marker women. 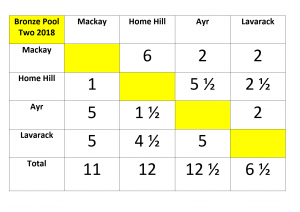 District teams consist of 6 players with 5 playing in each round. The winning District is presented with the Meg Nunn salver at the conclusion of the tournament and they take possession of it for the year. 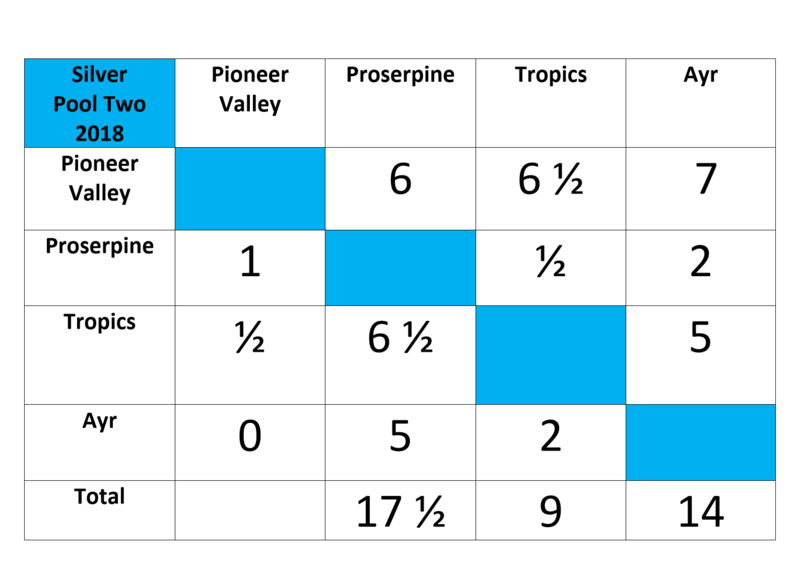 Handicap range – the maximum handicap is a GA Handicap of 16.0 for Meg Nunn Salver at the time of nomination. 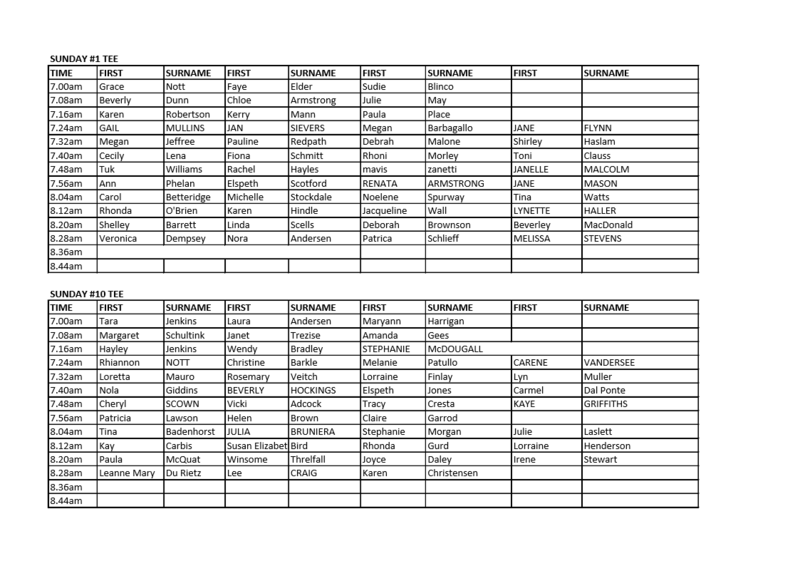 If the GA Handicap of a nominated player increases, her handicaps will be frozen at GA 16.0 for the tournament. A player’s eligibility to compete for a District is determined by the District where the player is handicapped. State Open Players and QAS students are ineligible for selection until two years have elapsed from that experience. Age is limited to 18 years and over. Players must be Australian citizens or have lodged citizenship application papers. Copies of the documents as submitted must be made available to the Tournament Director on request. A squad will be selected at the end of June. 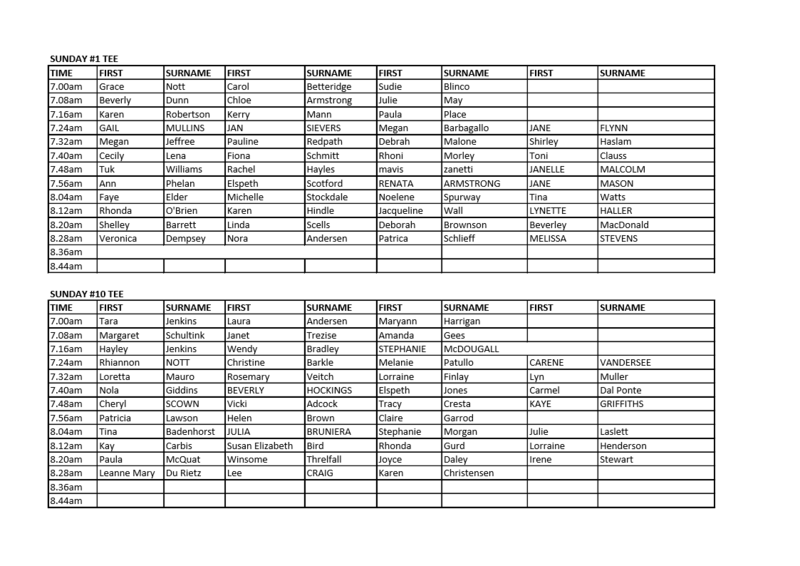 Golf North Qld will be supply team members with a uniform and accommodation and travel to attend Meg Nunn Salver. Team members may be required to contribute $150 towards travel and accommodation expenses. Team members will pay for their own food. Team members will be playing 6 rounds in 3 ½ days, the player must be fit enough to cope with the stress on her body and her mind. Age is not a problem as there has been a wide range of ages of team members over the years. The player must assure us that she can get leave from her work or commitments for the duration of the event. Match reserves the right to appoint a replacement. 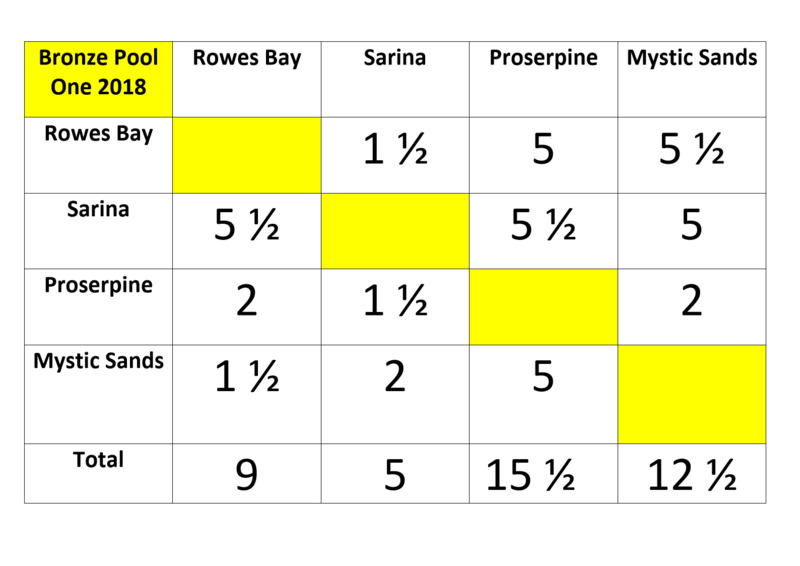 Team selection will be based on performance at GNQ events, Club Opens and club competitions over a calendar year on condition they meet the criteria Meg Nunn Salver requirements, will be considered. 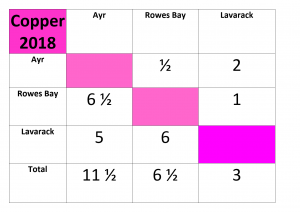 Players will be required to play in one of the following events; GNQ Pennant Competition & GNQ Open OR 3 Club Opens. Golf North Queensland would like to encourage all women, including players in our Western Districts, who meet the Meg Nunn Salver requirements to forward their Expression of Interest form to the Secretary. Expressions of Interest Expression of Interest form to forms can be found on GNQ Website. A Team Manager may be appointed by Womens Match. GNQ Meg Nunn team shall be announced annually at GNQ Pennant Competition presentation. 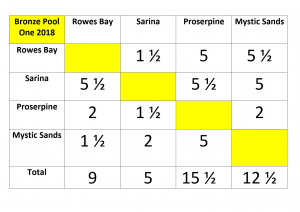 Team selection will be based on performance at GNQ events, Club Opens and club competitions over a calendar year on condition they meet the criteria Meg Nunn Salver requirements, will be considered. 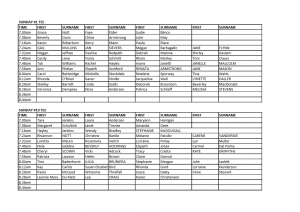 Players will be required to play in one of the following events; GNQ Pennant Competition & GNQ Open OR 3 Club Opens. 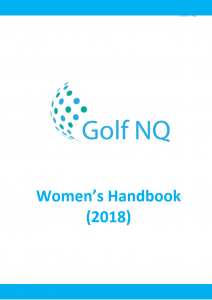 Golf North Queensland would like to encourage all women, including players in our Western Districts, who meet the Meg Nunn Salver requirements to forward their Expression of Interest form to the Secretary.